As a math-lover and techie, I bought an iPad immediately after its release and eagerly set about filling it to capacity with tools that might help students master number sense. My iPad has hundreds of math apps is FULL. 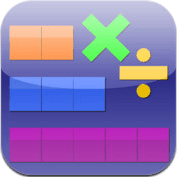 Despite the abundance of math apps, there are plenty in the iTunes store that list themselves as “Singapore Math®” apps. As you might imagine, some of them are better than others; some of them are more “Singaporean” than others. Find all the number bonds. 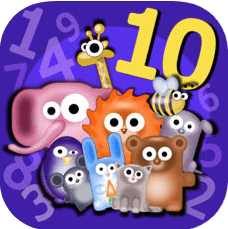 Ten levels allow students to focus on just the number combinations through ten. After that, you’ve mastered the game. The 1-player mode has all the numbers face-up, the 2-player mode has the numbers face down like a Memory-style game. Opinion? 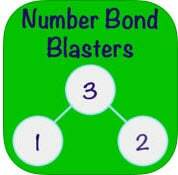 While the game is simple and has minimal levels, the basic number bond practice is solid. This is worth $2.99. -Pond Bonds – Find the missing part for numbers 0-10 using frogs. All games allow players to set the range of numbers, the time allowed to solve a problem and have a pass and play option for up to four players. Opinion? One of the rare apps to actually use a number bond format. Worth $1.99 if you can convince your child to use it. When not actually playing the game, 1/3 of the screen is taken up by an advertisement for the developers other game. Opinion? Singapore materials do not use a number bond format for multiplicative relationships. I found this game hard to play as I was always thinking “additive”. If it confuses an adult, what will your child do? Save your $1.99 for a more engaging fact practice app. When not actually playing the game, 1/3 of the screen is taken up by an ad for the Addition and Subtraction version of the game. Kindergarten app based on Singapore Number Bonds and Montessori using parts and wholes and Montessori bead chain and strip board manipulatives. Includes addition and subtraction within 20. Fully narrated for non-readers. Opinion? Great graphics and engaging activities. Good number bond and missing addend problems. This is worth $2.99. 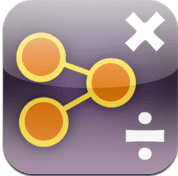 Choose “Practice” or “Test” mode, the select number bonds to 10,20,50 or 100. In Practice mode, players are given a missing addend problem. Tap the “?” and the missing number appears. In “Test” mode, Your choices are: fact range, multiple choice or keypad entry answers, timed or not, and easy, medium hard. Opinion? I like the missing addend format but there’s nothing particularly “Singaporean” about this app. It provides video flash cards. 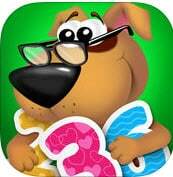 This is a limited free app for numbers to 10, with in-app purchases for other numbers. Players are shown a scale with the target number and one sweet with a number on either side of the balance. To balance the scale, a number must be added to both sides so that they each equal ten. Opinion? Good for 10 minutes. I like the balance idea. 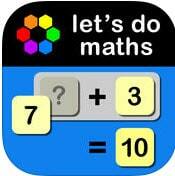 Both titles are from Let’s Do Maths and include empty equation with numbers that sum to either 10 or 100. Opinion? Nothing exciting…More like video flashcards than a game. 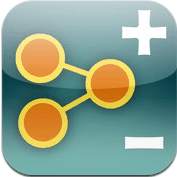 Quick and simple, this game provides practice and 1 minute timed quizzes for number bonds for addition, subtraction, multiplication and division to four levels: 0-5, 0-10, 0-20, and 0-50. Itunes says the game hasn’t been updated and won’t work with newer IOS operating systems. Opinion? Singapore materials do not use a number bond format for multiplicative relationships. 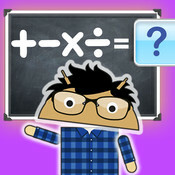 I found the multiplication and division problems version hard to play as I was always thinking “additive”. If it confuses an adult, what will your child do? No idea what to do with this game. Also, Itunes says the game hasn’t been updated and won’t work with newer IOS operating systems. Four choices: Number Bonds and Fact Families practice to Ten, Addition & Subtraction to Ten. No ability to differentiate or make it more difficult. Addition & Subtraction is find the sum or difference. Opinion? Simple and minimal levels. Very basic, froze a couple of times, but only 99¢. 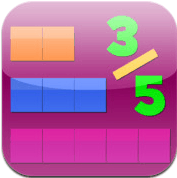 Thinking Blocks Ratios teaches children how to model and solve word problems with the Singapore Bar Model Method. The website has been available for almost 10 years, now in an easy to use ipad format. Opinion? Best bar model app out there. And they’re free. Versions for grades 2-5. 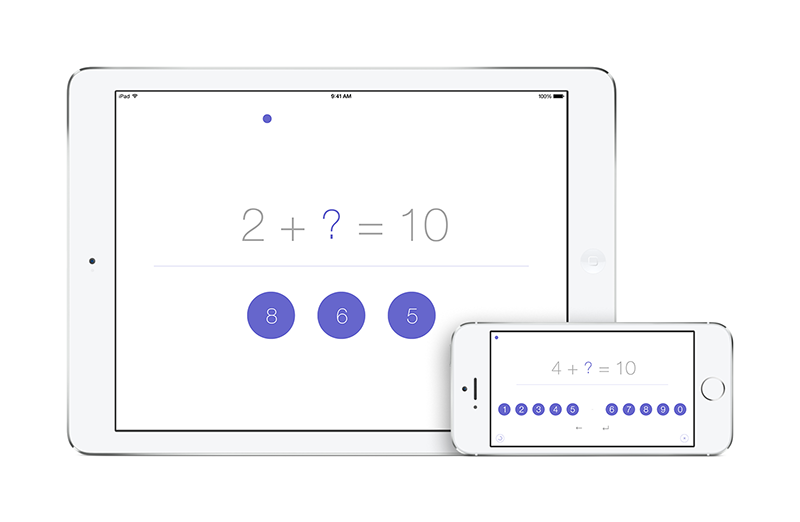 Free to download, includes 2 free problems, then $9.99 in-app purchase for each grade level. Opinion? Meh. That’s a lot to spend when Thinking Blocks is currently free. 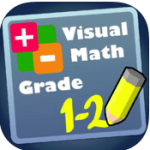 Designed to help 1st and 2nd grade school children to visualize, understand and solve basic addition & subtraction word problems, this is a guided, easy to use app for early learners. I really like how prompted the steps are to maneuver through the program and that the default option is to have the app read the problems aloud. The animated word problems that use actual pictures of cows, oranges and apples are fabulous. They are laid out as a definite precursor to the bar modeling that begins in grade 3. Opinion? Worth the $4.99, but this is not a game. 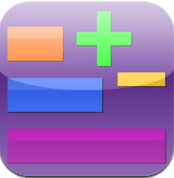 If you would like your child working some basic addition & subtraction word problems, here’s your app. 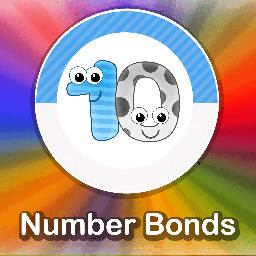 Help Xyla and Yabu trade gems back and forth by learning to add and subtract with number bonds. Use the relative sizes of number bond bars representing parts and wholes to develop number sense while solving word problems. Understand and become automatic at using tens, doubles, and other recurring patterns with numbers. Each number bond is presented in the context of a word problem. After mastering sums up to 20 (14 activities), kids explore similar patterns with sums up to 100 (13 activities), for 10 levels in all. There is no option to have the app read the problems aloud. In numbers to 20, there is a picture and a bar hint, in numbers to 100, just some bar hints. After the beginning levels, three possible answers are given. Truly flash cards. 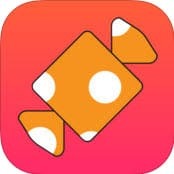 There’s nothing interactive about this app. A fact is shown, click on it and it flips over to show the back side. What sets the flash cards apart is that on the back, they not only have the answer, but a strategy for the fact as well. The Multiplication/Division version uses an array model on the back of the card to provide a visual for the fact. Opinion: Flash cards that provide a strategy. These wouldn’t be my first choice for a practice app. Opinion? Meh. More flash cards. While Splash Math is aligned to Common Core State Standards, it comes up in an iTunes search for ‘Singapore Math”. The company has a California address, however the founder and all open positions are based in India, which accounts for the term “learnt” in the app. This is a nice series of apps some of which start out free, but have plenty of in-app opportunities to expand. For a price. Instead of standard flash card style questions, the problems are varied and use visual models. Children drag and drop shapes, pop bubbles, rotate clock hands and more to solve problems. Visual models include ten frames, base-ten blocks, number lines, coins, fraction models, etc. It’s adaptive, as students improve, harder levels are unlocked. Your child’s progress will be emailed to you weekly. Opinion? 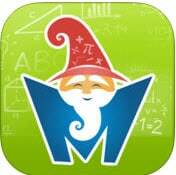 This app will replace a years worth of worksheets! Master addition and subtraction with math whizzes Robin and Dob. 10 levels of each, addition & subtraction, no customizing. The dog pops up when you’ve taken too long and offers help in the form of an abacus, tens and ones place value chart with apples or the problem stacked instead of horizontal. Adorable! Opinion? 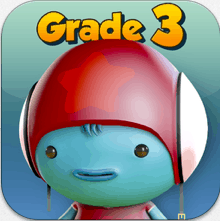 While the game is simple and has minimal levels, the basic practice is solid (and adorable!). This is worth $2.99. Crackers and Goo uses patterns to teach children to identify patterns and see parts of wholes. Flying crackers need to be dragged down to complete the problems. Starts very basic and finishes with rounding then multiplying 898, 899, 900. Yikes! Mental math strategies are explained. Opinion? Great, if repetitive, practice. Turn the volume down on the annoying music. I can’t see kids playing this for long, but it is more of a “game” than typical flash cards. I dig this app, but not sure about young students. 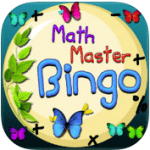 Math Master Bingo – Free to download, 99¢ in-app purchase for unlimited play. -Numbers to 5, 10, 20, and 40 with tracing and matching activities. -Addition and subtraction to 10, 20 and 40. Secondary and Middle school topics. Supports Ace-Learning.com, who also declares itself the “leading online Mathematics E-Learning system in Singapore”. Must be a registered user of Ace Learning to use. Opinion? No need to download unless you already subscribe to Ace Learning. 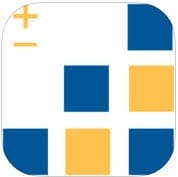 Also by ACE-Learning Systems and so must be registered to get the full app. Secondary and Middle school topics including notes, questions with guided solutions and more practice questions. For grades 1-6, Matholia is an another online mathematics learning portal providing pupils, teachers and parents with dedicated content based on the latest primary maths syllabus from the Singapore Ministry of Education – or you could get the U.S. version. Try the program free for 7 days with a code, then you must subscribe to continue. 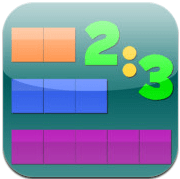 Ther are practice learn and games option available on the desktop version as well as Singapore math tools and virtual manipulatives for differentiated interaction. Opinion? No need to download unless you already subscribe to Matholia. Opinion? Probably not for your typical child. I made it through the ranks to Staff Sargent through sheer luck. Stick with the regular numbers version. Put out by a toturing company in Singapore.